So every year for the past few years I have been making my own cards for my uncle’s birthday because I can never find good uncle cards. I’m close with my uncle and they’re all so impersonal! I had an idea to use perler beads, I used to make things with these as a kid. You just iron the design! 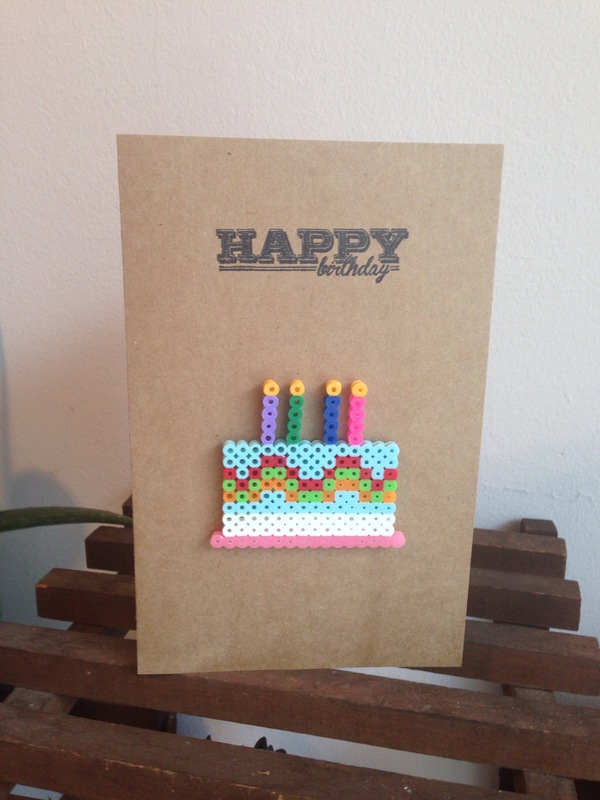 I attached it to card stock and stamped the “happy birthday.” I got the design from Makeandtck on iconosquare. I forgot how much fun these little beads are and I’ll have to come up with some more projects for them! 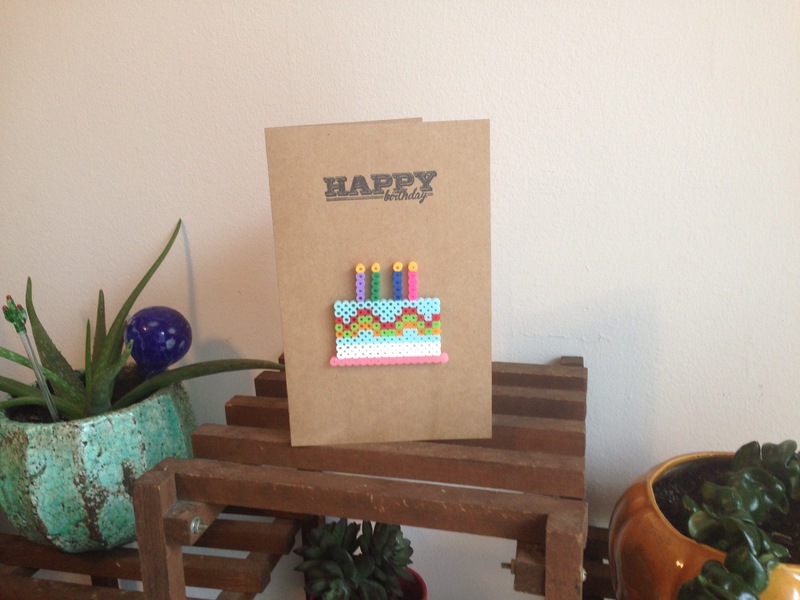 Also here is the embroidered card I made last year.